Ok so the ladies in our wedding are just about set. Well, there still remains the hair and accessories but I trust that the main worry is out! Brittney, our junior bridesmaid not only will be the flower girl but she will also be in charge of our wedding rings. I was able to spend some time with our God daughter this weekend. The goal for the day was to find her a dress. We were able to find her a dress at Davids Bridal. I had a scare at first because the color picked originally was not going to be received until mid October! Everything worked out. 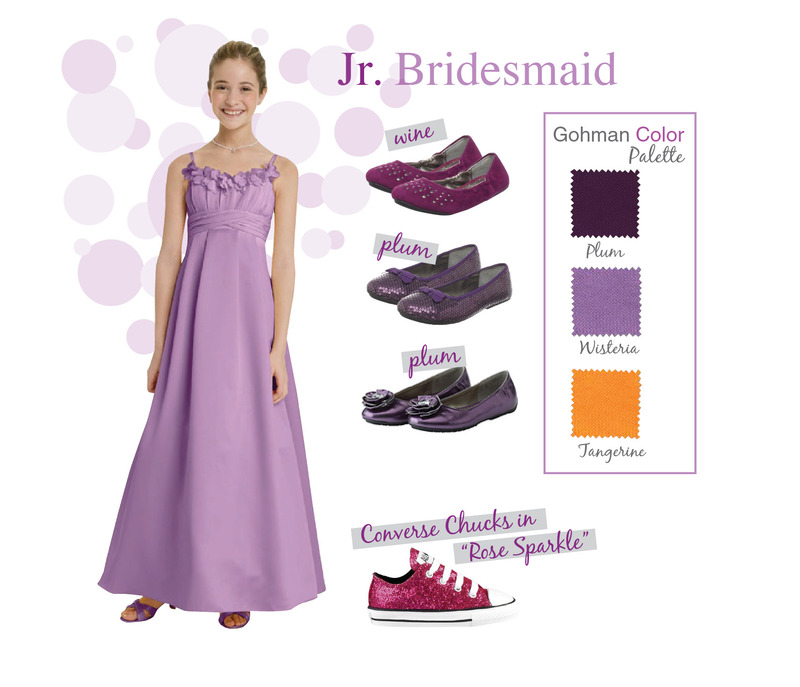 Instead of Brittney’s dress being the same color as the bridesmaids we were able to choose the color “Wisteria.” It is youthful and soft. Just perfect for her. She was a sport trying on all the dresses I was selecting. After DB we went to the Santa Anita mall to find her the reception shoes. I wanted to get her the same kind that I got, Converse All Star Lo Sparkle. We special ordered her size. The wedding Gawds were on our side that day. She just got her braces. She mentioned that she wanted to get purple put on for the wedding. She is going to look super Duper CUTE! Mitch and I are so honored to have this little soul present during our celebration. She has brought us so much joy and has enriched our lives on many levels. Note: Image featured above is not Brittney. I was so excited when we were trying on dresses I forgot to take a picture of her.